Adam Lyth would have had mixed feelings during yesterday’s celebrations. He could never have dreamt, three months ago playing for Yorkshire that on August 23rd he would be doing a lap of honour around the Oval with the England team brandishing the Ashes urn. Yet nagging away at the back of his mind would be the realization that he will soon become another of Alastair Cook’s ex-partners. Lyth has averaged 12.7 in this series and 20.4 in the summer’s tests overall. He was unlucky that England elected to play on mainly bowler-friendly pitches and with the swingiest batch of Dukes balls since the Botham era. That said, he always looked fragile, both technically and mentally, in this environment. Demanding as it is to open the batting in test cricket, it is no good being the anxious, tense type of individual. Defensive shots will be too rigid (and therefore edges will carry to slip fielders) and over-excitedness will often be fatal. Such traits cost Lyth his wicket on 7 out of 9 occasions this series. The best (England) openers have generally been calm, phlegmatic characters. Cook was born with a cool unflappability. It was evident from his first test appearance. Even in the field Lyth looks too edgy and uptight a personality to flourish, irrespective of his obvious talent and desire. There is no outstanding candidate to replace Lyth, so the temporary solution might also help address England’s other main deficiency – a front line spinner. 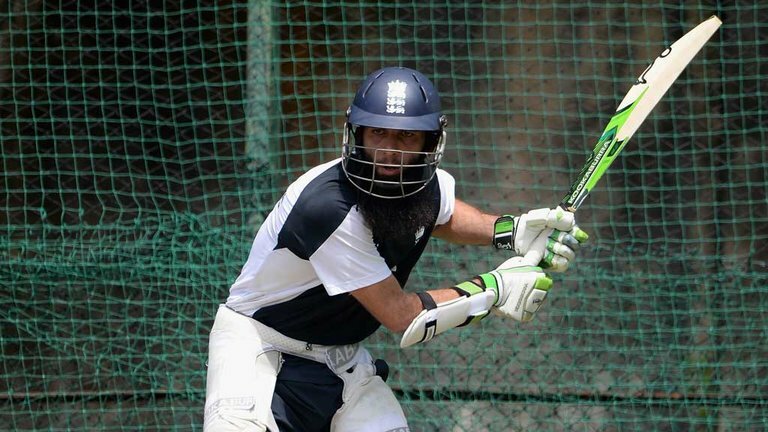 Moeen Ali has an invaluable wicket-taking knack but cannot continue to be regarded as England’s main spin bowler. He concedes too many easy runs and doesn’t actually turn the ball enough. He has plenty of experience as an opening batsman, however, and on the placid pitches of the UAE where England next play test cricket, his free flowing stroke play and fast hands will be a good foil for Cook’s more accumulative style. He also seems to have an uncanny habit of playing and missing rather than edging balls. Loath as England might be to sacrifice Moeen’s dash and dare at number eight, promoting him up the order would allow England to accommodate Adil Rashid, currently the most accomplished spinner in the land (he has over 400 first class wickets.) Rashid isn’t the most accurate bowler either, but he deceives batsmen with his variations, and there is a worldwide fallibility against legspin which is even afflicting the Indians. Cook’s thoughtful use of Moeen in this series bodes well for Rashid, who could also provide a similar thrust with the bat down the order. Lyth, meanwhile, might take some solace from the performance of his opposite number Chris Rogers, whose initial foray into test cricket seven years ago was equally inauspicious. Broadening his experience of different conditions, Rogers boiled down opening the batting to its essence, leaving as many balls as possible, defending tight to his body and only venturing out of his carefully-constructed capsule when it was safe to do so. He averaged 60 in this Ashes and bid farewell to test cricket as Australia’s man of the series.